Auditoria realizada pela OIG Audit em um dos projetos terceirizados pela NASA junto à Boeing, concluiu que a agência espacial americana não será capaz de alcançar a janela de lançamento da Missão de Exploração 1 (EM-1) prevista para o período entre dez/19 e jun/20. A Boeing é responsável pela construção dos dois "core stages" para o Space Launch System (SLS). Cost increases and schedule delays of Core Stage development can be traced largely to management, technical, and infrastructure issues driven by Boeing's poor performance. For example, Boeing officials have consistently underestimated the scope of the work to be performed and thus the size and skills of the workforce required. 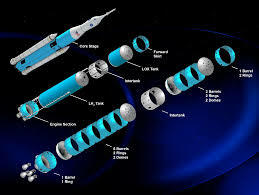 In addition, development of command and control hardware and software necessary for Core Stage testing is 2 years behind schedule, while equipment-related mishaps and an extreme weather event contributed to cost and schedule delays. 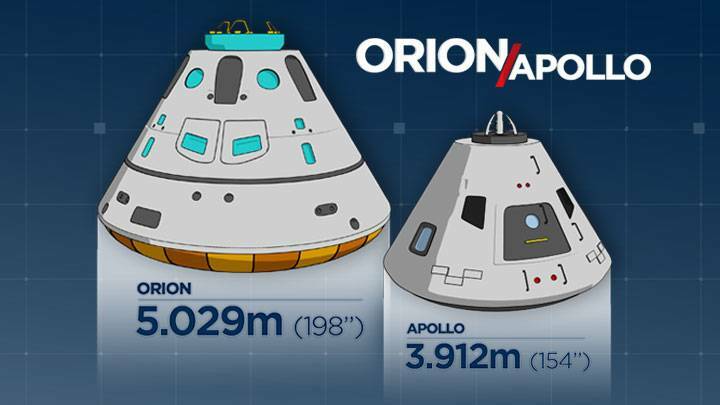 A Orion, em conjunto com o foguete Space Launch System (SLS), irá num primeiro momento levar astronautas à Lua (região cislunar) e futuramente, realizar a primeira missão tripulada à Marte. Na etapa inicial estão previstas duas missões. Exploration Mission-1 (EM-1), which is scheduled to take place in 2020, will consist of an uncrewed Orion capsule being sent into orbit around the Moon and then returning to Earth. Using lunar gravity to gain speed and propel itself 70,000 km beyond the Moon – and almost half a million km from Earth – this mission will send a spacecraft farther into the Solar System than ever before.